Free online calendars are a great way to manage your life from home, work, and on the go. Not only do these free online calendars allow you to keep track of events and special dates, they also let you set reminders, send invitations, share and organize with your family members, friends, or co-workers, and generally manage your whole life. 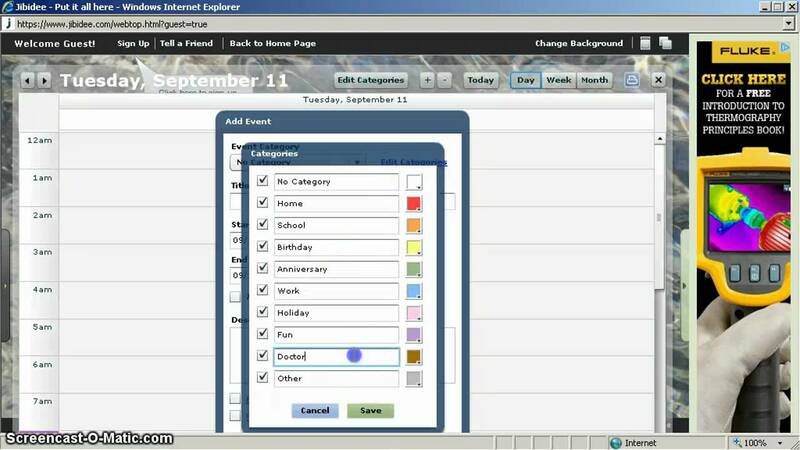 There are a lot of other features to these free online calendars as well. 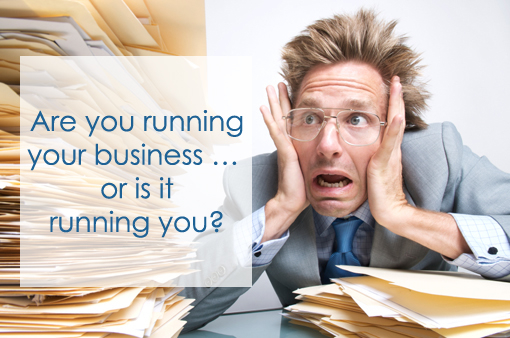 Some of them have address books, lets you manage photos, allow you to upload and share documents, and much more. The free online calendars below are the best of the best that are out there. You can click on each link to read a detailed to see which calendar is right for you. Google Calendar is easy to use the free online calendar that you can easily share with your family, friends, or co-workers. You'll be able to choose who's allowed to make changes to your calendars, view them, or if you want your Google Calendars to be completely private. 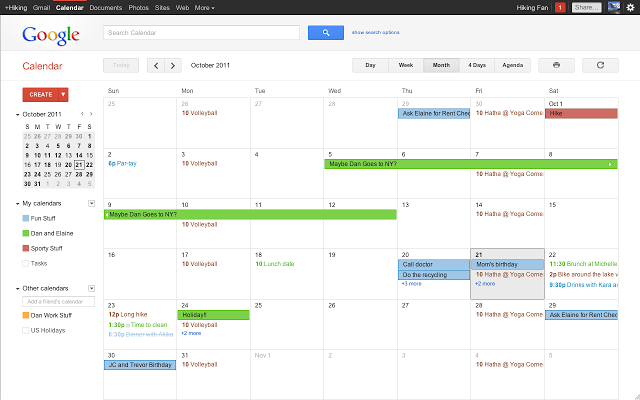 You'll love how easy it is to share, update, and access Google Calendar. 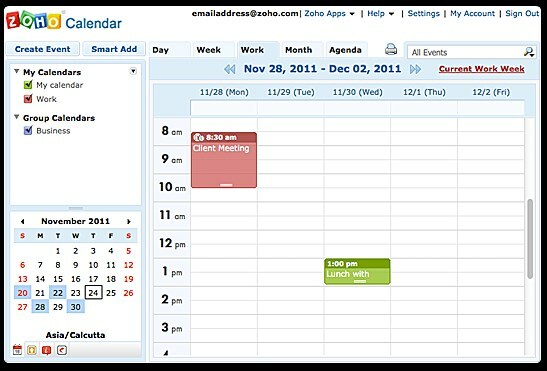 Zoho Calendar is a great free online calendar that can be as simple or as detailed as you want it to be. There are a ton of options available with Zoho Calendar and it's one of the best free online calendars out there. If you're looking for a way to keep everyone in your family on the same page, you'll want to check out the family organizer from Cozi. 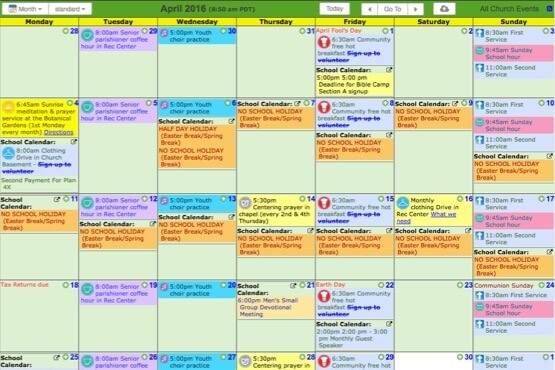 There's a shared family calendar as well as individual calendars for each family member making it easy to sync activities and see what's going on for the day, week, and month. Besides the shareable calendars, you can also email or text to-do lists and grocery lists to certain family members with just a click. Jibidee is a brightly colored free online calendar that also lets you manage an address book, photos, lists, and documents. 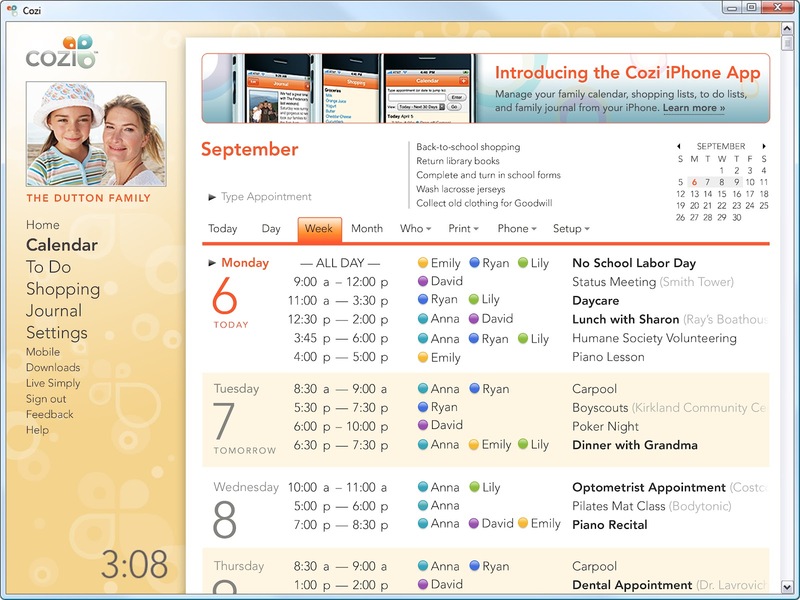 In fact, Jibidee is such a great-looking online calendar that you may want to stay in there all day. Keep and Share has a free online calendar that's simple to use easy to customize to get just the look you want. Besides being an online calendar, Keep and Share is also a great place to share files, make to-do lists, and even keep online databases. Note - Keep and Share only offers a free two-week trial. If you choose to keep it, it is one of the more expensive options available.